Flowers are essential aspect of any special occasion. From worshipping god to decorating parties, flower is the charm of every event. It serves calmness and atheistic pleasure. It is that ingredient that can be used creatively to enhance the beauty of the occasion. Flowers choice will reflect the sense of style and even the wedding personality. Remember when it comes to selecting wedding flowers there is no such thing like right choice or wrong choice. Initially it is essential to know which colors you would be working with and the kind of look you are visualizing along with the budget planned. These aspects will help you a lot to get the perfect look you always desired for. In case if you are looking for a specific flower you, I would recommend you to get in touch with the local florist to check if the flower is in season or not. Many times we have noticed that a couple has planned their whole vision on a particular flower, but at last get disappointed when they discover that it is NOT available. Furthermore, when you are finally done with date and color selection, you can start checking websites for the design you want in your wedding. Other than websites it would be great if you attend some local bridal shows. 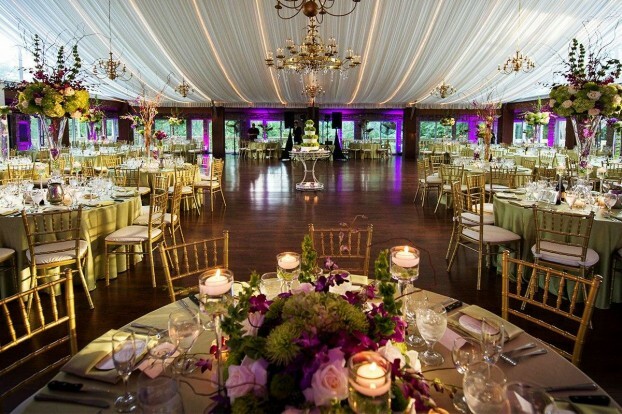 In these lavish events you will discover great styles of design which appeals to you. Now when you have decided the style you want to be captured in, speak to your florist and ask if they can make the idea better. Yes…this sounds great! But wait, which florist? So your next step after deciding an idea is to select a luxury florist. When you find a florist you think you are interested in working with make sure you check out their website as well as reviews. At your initial consultation you should be able to see pictures of their past work, and, or maybe even see wedding flowers that are on their way to someone else’s big day. You and your florist need to be able to share your vision. The time when you meet your florist, carry pictures of your dress, maids colors, any picture that inspires you or any other thing you feel a florist should be aware about. Additionally, along with that discover how and where you will be using flowers – in wedding ceremony, reception! Note that the more the information the better the ideas and suggestions can be from your florist and you can get an accurate estimation of your flowers costs. The time when you meet your florist, clearly inform them about the budget you want to work with and be open with different ideas. Few florists rent vases and other equipments you need in decoration to cut your costs. Make sure that the florist can clearly envision your imagination that too within your budget. Other than this, you need to ask the florist about a written quote with every detail regarding the flowers types, colors being provided and much more. Just remember that wedding is your big day and there are no do overs, so your florist requires to have a right vision. Moreover, many florists offer you a complimentary sample, so with that you can easily critique your vision. At the end, I just want to say be honest about what you expect and consider your florist’s ideas and recommendation. All the best! Hope your wedding floor looks great with beautiful colors. Don’t forget to share your wedding pictures.